Every time you set out to achieve something and manage to do it, whether it’s losing ten pounds, running a marathon, getting your college degree or being faithful to your workouts, you strengthen your character. Celebrate every stepping-stone, because you’re worth it. Set aside false modesty and never underestimate your achievements. Acknowledge your successes without flaunting them, but do acknowledge them. If you don’t see yourself as a writer, a painter or a dancer, for instance, how can you expect others to? Achieving a goal implies overcoming a self-imposed challenge; it means that you were able to discipline yourself and make short-term sacrifices in order to reap the benefits of delayed gratification. It’s also more commendable to reach a goal that you set for yourself because you wanted to, than a goal someone else – your boss, for instance – set for you. What goals, big or small, have you achieved in life? What about last year? What goals would you like to reach in the next six months? And next year? In five years? 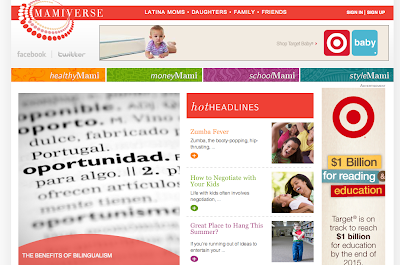 Club Mami is a new social network for moms, embedded in Mamiverse, the new portal for English-speaking Latina moms. These are moms whose parents or grandparents hail from Spanish countries, but they may themselves have been born in the U.S. Their main language is English, although they are proud of their roots. According to the Daily Beast, Latina moms are the hottest demographic,¨ and we are gaining ground everywhere. Being proud of one´s heritage breeds success, not only for ourselves, but for our children. Some Latinas do speak Spanish, as you can read in other sites, such as La Cosmopolatina, and even Spanglish. Being bilingual and bicultural myself, I enjoy mingling with other Latinas, both online and in real life. 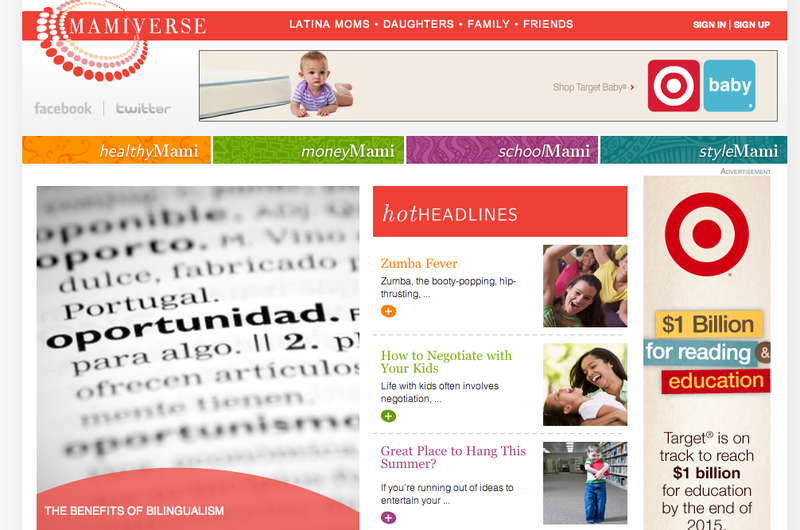 Read my section Mom Recommends (Consejos de mamá) on About.com, in Spanish, for Latina moms. Some people stand by their dreams no matter what, and make them come true. 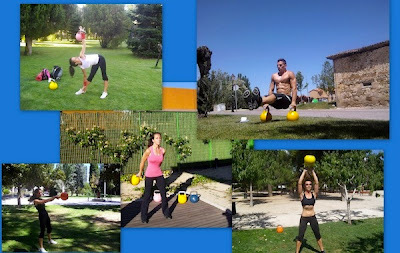 Kettlebell Training Madrid® is the product of the commitment of Gastón Giorlando and Sandra Carbonell, both certified personal trainers and certified TRX® and Kettlebell trainers in Spain. Following is my interview with them. 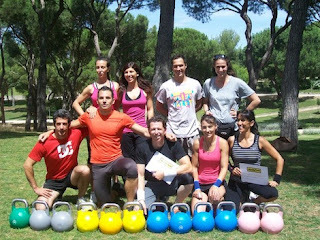 LCL.- How did the project Kettlebell Training Madrid® start? KTM.- It was a result of our stay in Florida, where we experienced the fitness craze that is not as prevalent in Spain. There are the two extremes in the U.S.: people seem to either let themselves go or exercise to exhaustion. When we moved to Spain three years ago we realized there was a gap to be filled in the fitness field, and that we could fill it by teaching Kettlebell training. We had already experienced its benefits ourselves. 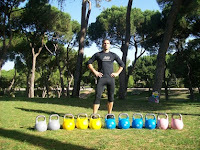 LCL.- What are Kettlebells and why did you choose them as a fitness routine? KTM.- A kettlebell is a Russian weight. They are round and have a flat base and a handle. We chose this as a fitness routing because training with kettlebells involves the whole body, unlike a gym workout, which is intended to isolate different muscle groups. There are many benefits: you lose body fat faster than with a traditional training routine. It tones and strengthens your muscles while giving your flexibility and resistance. It´s also a good cardiovascular workout, and therefore you can get all-over results faster. You can train anywhere with just one workout tool. LCL.- What services do you offer? KTM.- Seminars and training courses for personal trainers, martial arts experts, instructors, sports enthusiasts, athletes, martial arts specialists, gyms, and anybody who is interested in all-over fitness. Anybody can benefit from this type of training. LCL.- What has been your greatest challenge? KTM.- It´s been hard to break into the fitness market in Spain. This sector is slowly embracing this type of training. LCL.- And your greatest satisfaction? KTM.- Seeing our clients satisfied and improving their physical shape. Our students acquire knowledge and technique that are hard to come by in Spain. 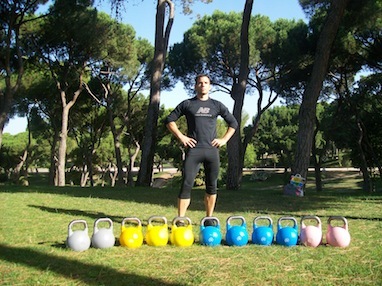 Training with kettlebells requires proper technique and regular practice. LCL.- What would you tell someone who wants to shape up? KTM.- First, they need to establish a clear goal and find out what their options are and not stick only to conventional forms of exercise. They should try kettlebell training and if they like it, they will soon be hooked, while getting in shape. LCL.- What would you tell someone who has a dream that others are trying to squelch? KTM.- We all have dreams and it is up to each one of us to pursue them or accept what others believe. We believe in pursing the dream. If you are true to it, you will make it happen. 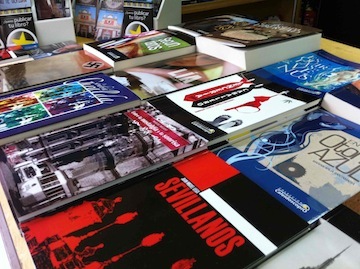 Spanish publishing house thrives during the recession - Jirones de azul. 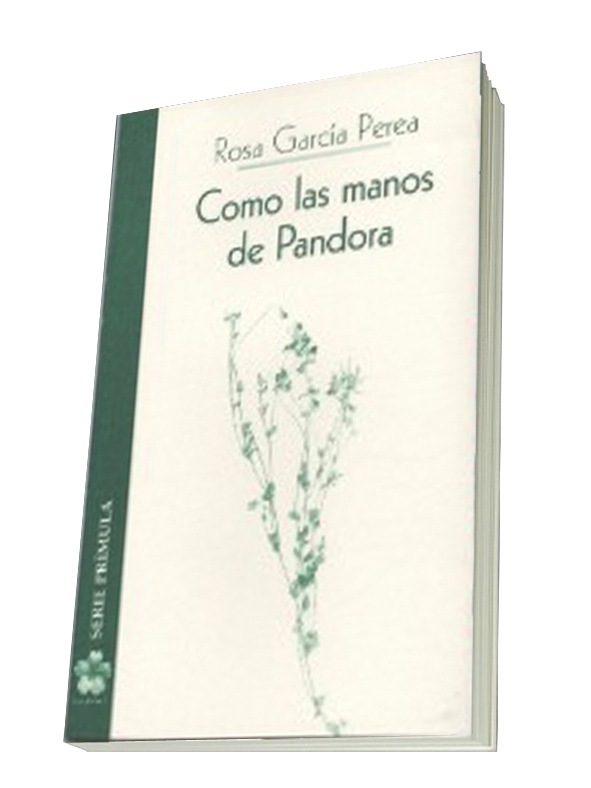 Rosa García Perea is a Spanish poet, author of “Las tres miradas del Cíclope” and “Como las manos de Pandora”, amongst others. 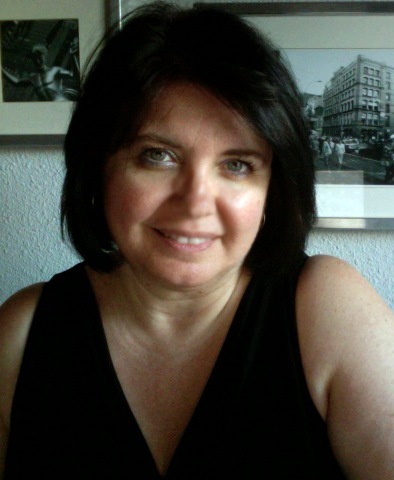 She has taught Creative Writing and is now at the helm of the publishing house Editorial Jirones de Azul together with Esperanza García. Her first novel, Mesa para una (Table for one) will be published in October. RGP.- Success is the unexpected prize you get after years of working hard and when you´ve almost stopped believing your project will come through. LCL.- Do you think you´ve achieved it? RGP.- I will say what Oscar Wilde said: a fool never recovers from success. That´s why I like to believe that I haven´t achieved it yet. It´s but a mirage. LCL.- When and why did you launch the publishing house Jirones de Azul? RGP.- Jirones started out as an e-zine in 2004, and then went to print version in 2006. In 2005 I turned 40 and I didn´t want to let such a significant age fly by without making one of my dreams come true. I also thought Seville, Spain was in need of a publishing house that opened the doors to new voices. So the first business day of 2006, I did the paperwork to establish my company. The first few months were hard, but special. I would do it all over again. LCL.- What were your biggest challenges? 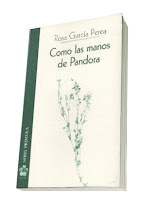 RGP.- Even though I had worked in marketing, I didn´t know the publishing business. It was also undergoing a shift – from paper to digital. And in 2006, one of the worst global recessions hit. It was like trying to sell books in a war zone. But instead of backing off, we took it as a challenge and it´s made us stronger and be more professional. We´ve learned the hard way and every time we fall, we get up with more enthusiasm. LCL.- And the biggest satisfactions? RGP.- Professionally, looking back and seeing that in five years we´ve put over 200 titles out there. Many have become best-sellers, by first-time authors. Personally, when I see my team, smiling and full of energy. That erases any doubts I may have. LCL.- What personal qualities have helped you start and keep your publishing house going? RGP.- Mainly perseverance and knowing that I have to get up as fast as possible when I fall. Whining won´t take you places. Having a sense of humor is a must. There is nothing more important than having a sense of humor. LCL.- What haven´t you done yet? RGP.- Professionally, I have a lot to left to do. I´m 46 and I would start any project from stratch. I like a challenge. Personally, I haven´t lived as much as I´d have liked to. My life is full, but I´ve missed out on personal satisfaction by putting a lot into my profession. And I´m missing children. I won´t have them, but they would have made my life fuller. I´m sure they would not have taken one bit away from my professional life. LCL.- What would you say to those who have dreams they haven´t accomplished yet? RGP.- Not to be afraid of their mistakes. You learn more from your mistakes than from your success. To surround themselves with good people, those that help you feel good. There is only one secret for success: work and good energy. It´s so simple that it seems impossible.